We are currently hiring chauffeurs! Our company works in different states and cities, so we can provide people with jobs all across the country. If you want to become a member of our team, please, read the specifications below. You must be a driver for at least 7 years. No history of accidents is a must. We want to hire people that know how to drive well. You must be willing to get a commercial license. You have a possess a state license, however, after you’re hired we will pay for your education, so you get a commercial license. 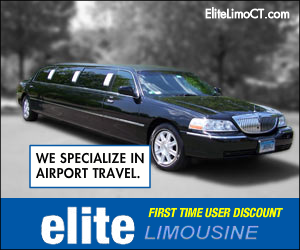 You will also take courses on limo and shuttle bus driving. You must possess customer service skills. You will be working with people, so you have to have great communicational skills too. You must pass our drug test. If you want to work with us, you will have to pass the background checks and our drug tests. Please note that random drug checks are obligatory in our company. You must know the area well. To be a successful chauffeur you have to know the area you are driving through. We do not require ideal knowledge, but you have to be able to recognize places well. We offer you an ability to juggle your schedule yourself. You might have more days off January thru March (off-season) and busier days in summer. Our workers are good people that will treat you well and help you to get accustomed to your new job. You will get paid vacation time and sick days. We will pay for your further education in our field. We also offer different courses for personal growth. The more you work, the more you get. That’s our policy. If you have any further questions, please contact us. We are waiting for your CV! Hope we can work together!